The police force in the US city of Chicago is plagued by racism, according to an official report. A task force, set up after a public outcry over police shootings, said some officers had “no regard for the sanctity of life when it comes to people of colour”. It said the department had alienated blacks and Hispanics by using excessive force and honouring a code of silence. The report asks for more than 100 sweeping changes. The panel found that 74% of the hundreds of people shot by officers in recent years were African-Americans even though blacks account for only 33% of the city’s population. The summary of the report, commissioned by Chicago Mayor Rahm Emanuel, said that fear and lack of trust in law enforcement among minorities was justified. 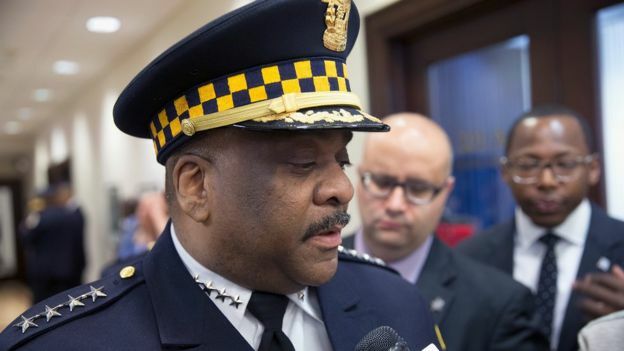 Chicago’s new police chief, Eddie Johnson, who is African-American, has vowed to eradicate racism within the force. “We have racism in America. We have racism in Chicago. So it stands to reason we would have some racism within our agency. My goal is to root that out,” he told reporters after being sworn in. The city’s police department is the third largest in the US. 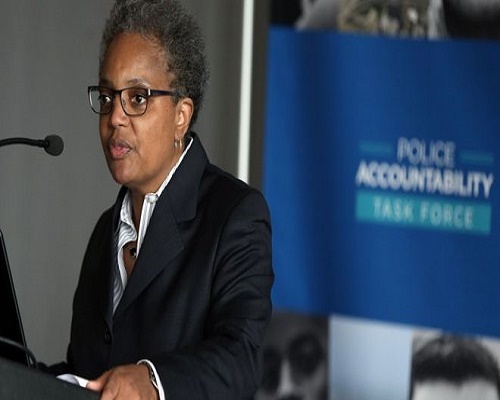 Task force chairwoman Lori Lightfoot called the report a “blueprint for change” and urged city police and officials to forge a better relationship with citizens. “The pain and the anger and the frustration that people across this city have articulated to us… is something that has to be understood, has to be respected. And it has to be embraced if we are ever to move forward,” she told a news conference. The Task Force on Police Accountability described the existing independent review body, which investigates misconduct, as “badly broken” and recommended replacing it with a “new and fully transparent and accountable Civilian Police Investigative Agency”. “There’s no doubt we have a lot of work to do,” said Mr Emanuel, adding that people had to have confidence in the agency that reviews police behaviour. He said he was waiting to be briefed by the task force and to see the whole report before giving further details. Figures released last month showed Chicago’s murder rate had risen 84% in the first months of 2016 compared with last year. The city saw 575 shootings and 125 murders up to 20 March compared to 290 shootings and 68 murders in the same period of 2015. Police Chief Johnson, who has 27 years’ experience, took office amid public anger over the shooting of black teenager Laquan McDonald by a white officer. 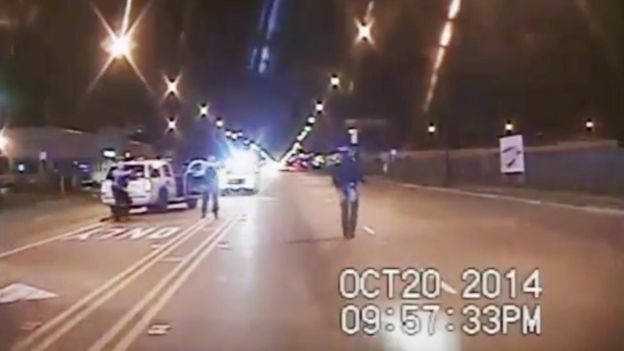 The shooting sparked days of protests and led the US Justice Department to open an investigation into Chicago police shootings.